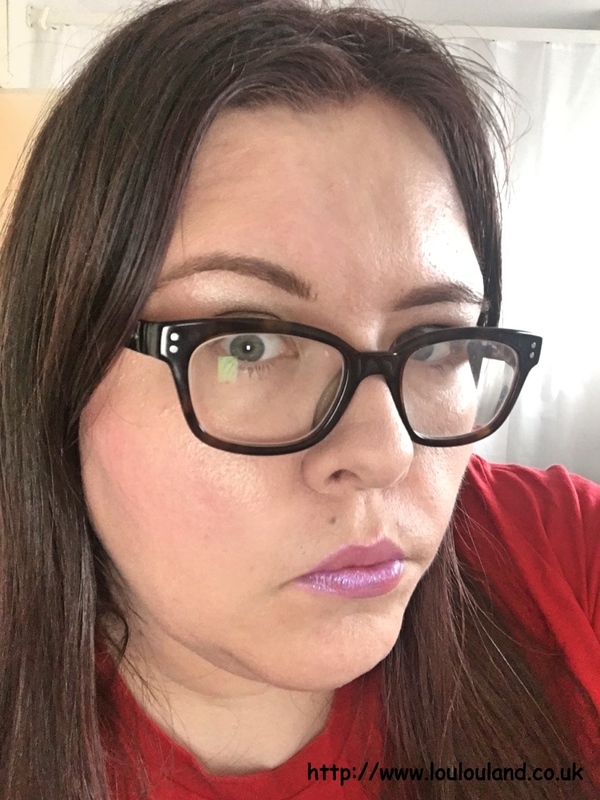 It's been a little while since I reviewed a product from Alva for My Pure but for one of April's reviews I decided to revisit the brand, and try out something that I'm loving at the moment, blusher. For those of you who are new to Alva or for those you who haven't read of my previous reviews, I'll give you a little introduction. Established in 1988, in Osnabruck, Germany, Alva Naturkosmetik is one of Europe's leading natural brands. 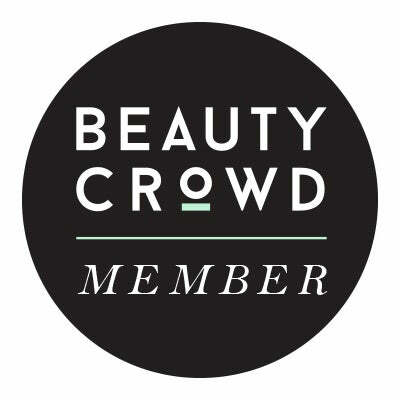 They produce a wide range of skin care, body care, hair care and make up all of which are certified organic. 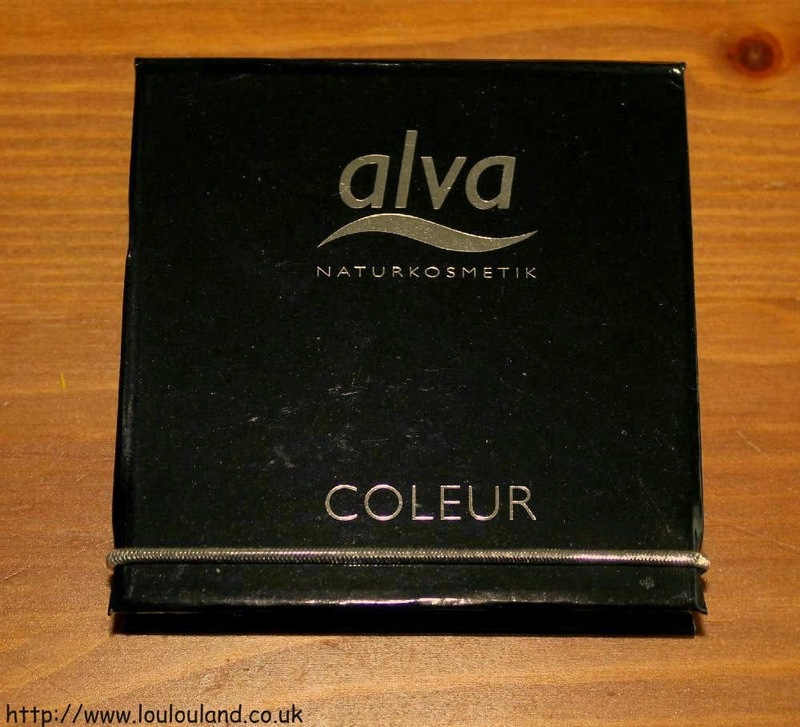 My Pure currently stocks 3 shades of the Alva Naturkosmetik Coleur Baked Rouge, but the one I went for was 2 - Shiny Pink. 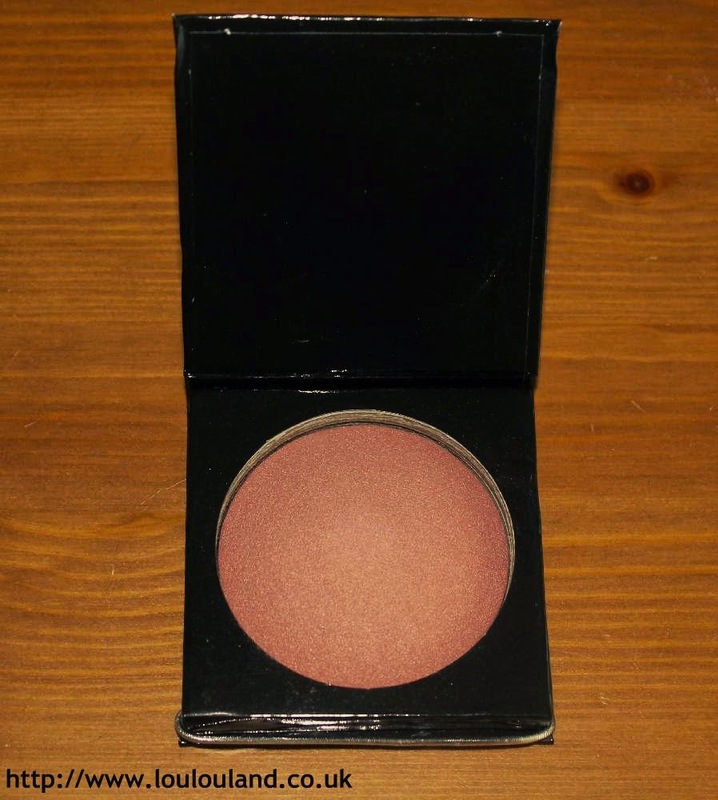 Baked blushers are everywhere at the moment and I have to admit that baked is one of my favourite formulations. 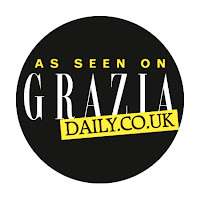 Containing natural pigments, this blusher contains a wide variety of natural moisturising and skin care ingredients, including olive squalene, evening primrose oil, sunflower oil and macadamia oil. 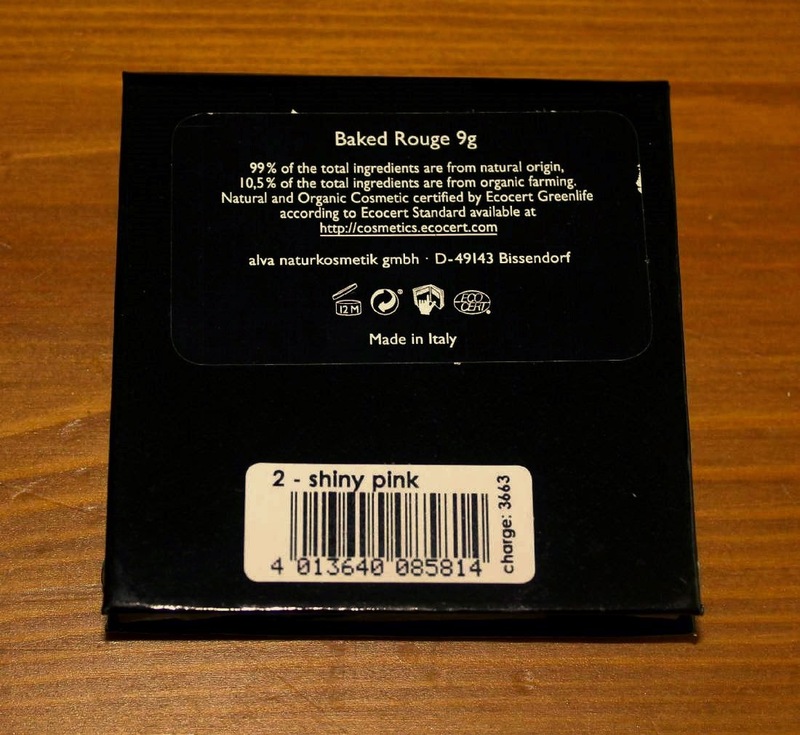 99% of the ingredients in this blusher are from a natural origin, and 10.5% of those ingredients are from organic farming. The packaging of my blush does vary slightly from the one on My Pure but I wouldn't worry too much about that. It's the product inside that counts and this one is well worth a look. Shiny Pink isn't as pink as what you would think, it's a warm, almost bronze, coral toned pink, with a bit of both shimmer and iridescence. Baked products can go one of two ways but this one is a good one. Some powders can be gritty but this one from Alva is silky smooth, and feels almost weightless on the skin. 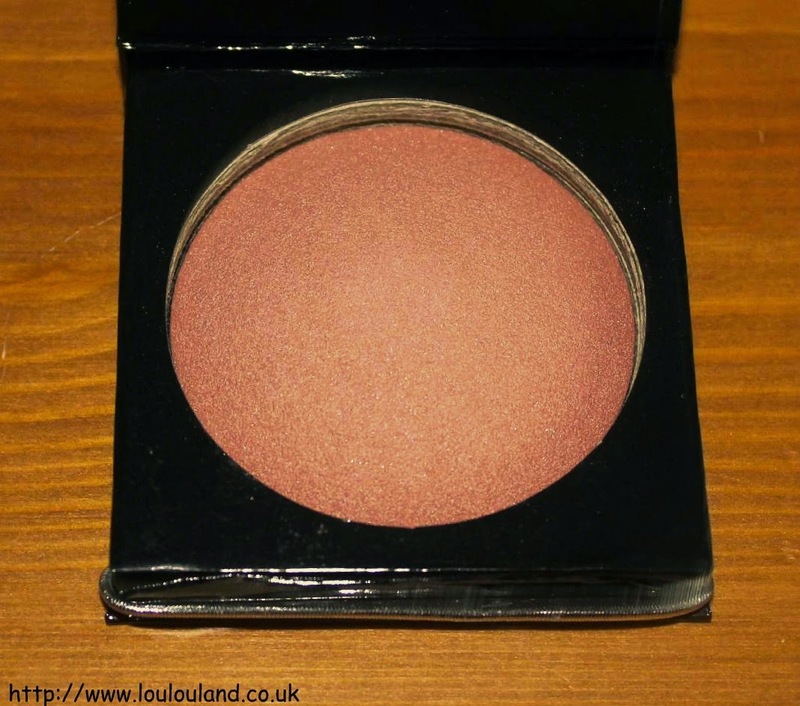 The pigmentation as you can see is excellent, and if I'm being honest you need a very light hand to apply it but it blends beautifully into the skin and leaves a warm, healthy flush, that wears well and lasts.